This festival welcomes the world to Settle. Internationally acclaimed storytellers and artists travel to Settle for a weekend of magic and mayhem. A true family event - there are things going on for the very small and extremely tall. There’s always plenty of free events too! 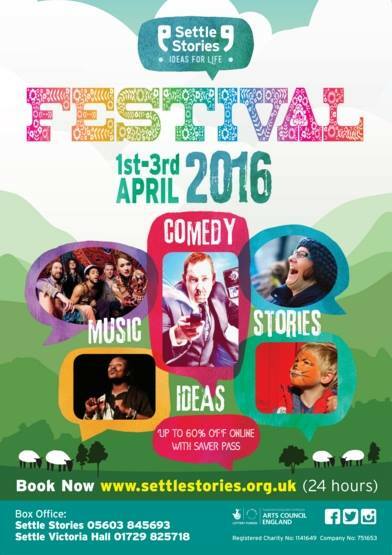 The next festival (1-3 April 2016) will see Settle come alive. There will be outdoor events, walks, talks and more adventures than ever before. The last Settle Stories Festival was voted as one of the top 5 festivals in Yorkshire and one of the top 5 Storytelling Festivals in the UK. If there was ever a time to visit Settle - this is it!